The sense of satisfaction that comes with the completion of a major project has yet to set in for the all consuming wood floor project. But, I installed the last piece of quarter round last evening and we began the slow, tortuous process of reoccupying the office and clearing out the rooms that have become holding areas for the displaced items. Actually, I do have to reinstall the closet doors in the office, but I hate doing closet doors and decided that I was too tired last evening to attempt to put them back. 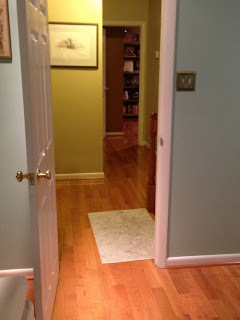 The floors shine and add a new dimension to the house and especially the upstairs. The 12 year old carpet was showing its age and needed to be replaced. I call this shot the "money shot" because it shows the floor from farthest point to farthest point--across the hallway from bedroom to office. Thank you to all who helped--Francis, Jeremy, Mike, Patrick, and of course my partner in projects Chris. This was truly a team effort. And thank you to Mary, Nicole, Nicole, and Tina for letting your guys spend what seemed like forever helping me with the project. And so with a few more minutes to get the closet doors reinstalled and some final touches on moving everything back--it will be onto the next project. Of course, at some point the other two carpeted bedrooms will be converted to wood as well--but not this summer. Yesterday, summer made its entrance onto the scene. There will likely be more springtime-like days, but yesterday the temperature made it above 90 degrees and the smells on the air of summer flowers, including jasmine, mingled with the dark scents of the trees and forest wafted over my yard and it was clear that summer had arrived upon the scene. Despite the cold of the past weekend, the season has changed. It is daylight now about 5:30AM and staying light until 9PM. The springtime flowers are giving way to the summer flowers and the greens of leaves are everywhere covering the trees and bushes and hiding our neighbors so that I can almost believe I reside on a secluded lot. I can smell the beach air and surf calling to me already, although there is still over a month to go before I can plans on spending multiple days in a row on the beach. But, summer is definitely upon the scene. Springtime seemed too short, but hopefully summertime will run its full course. 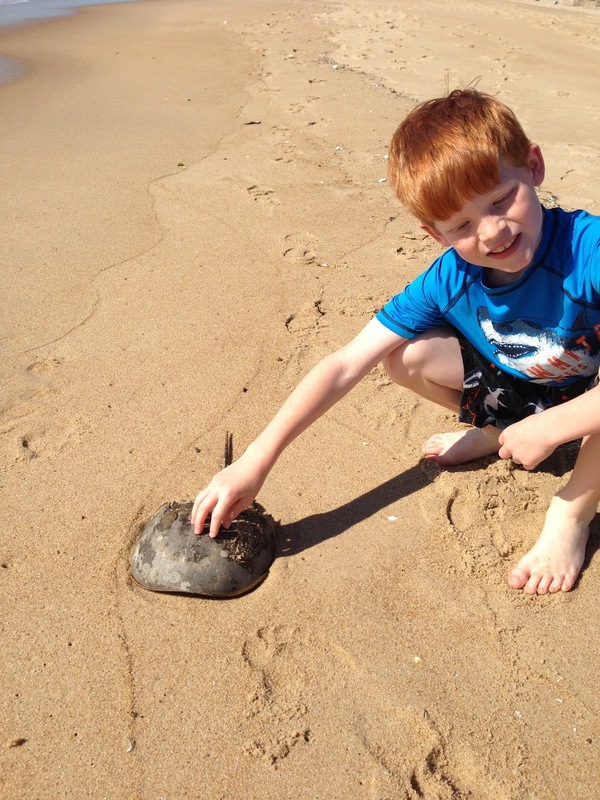 What activities can be done on cold, but not rainy, beach days? Well, it turns out almost anything goes. 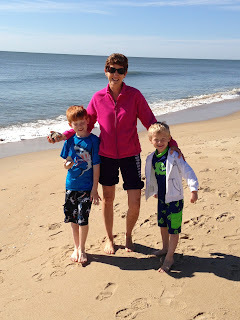 With the air temperature in the 50's and the water temperature approaching 60 degrees it can make for a short beach day--especially if the boys get wet. First, there just has to be a sojourn to the beach regardless of the temperature. That is why the trip was made in the first place. And if boys are on the beach, boys are going to get into the water, no matter the temperature--and that makes for a short beach visit because soon after, chills and cold set in. Then there is always lunch at a local establishment, in this case Tequila Mockingbird. 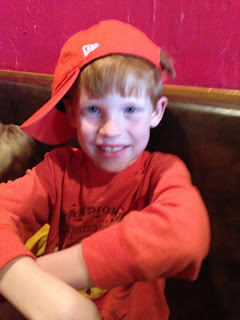 Ethan decided to steal my Orioles Cap and mimic his favorite musical entertainer. Don't let his Dad see this picture. Following lunch there can be a movie or possibly miniature golf. 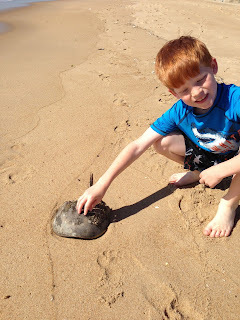 We actually did both activities during our weekend to the beach. Be careful though, playing a 27 hole miniature golf course in the cold wind can be as painful as being on the beach. Add three boys, short attention spans, and undeveloped skills and my recommendation is not to keep score after about hole 6. I guarantee that at least one ball will be lost during play. 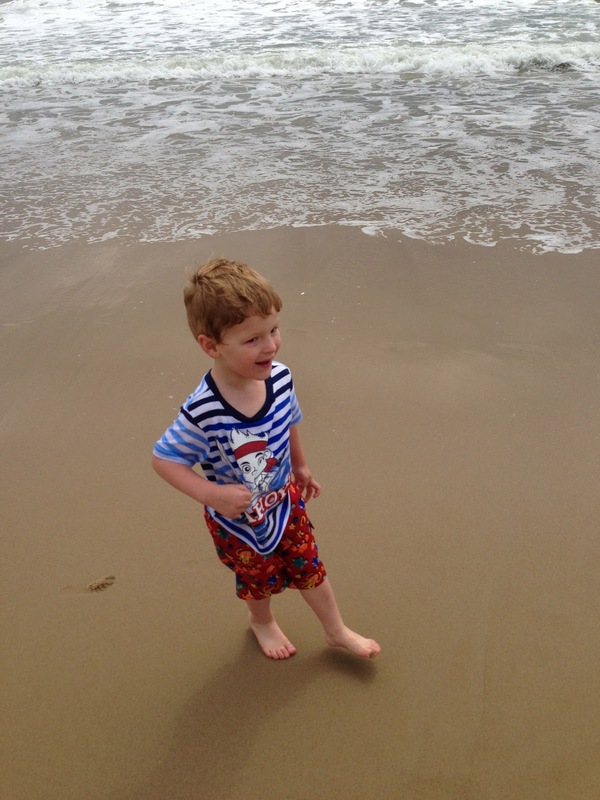 During the afternoons, well, back to the beach for a walk and playing in the sand. Keeping the boys out of the water will make this event last longer and seem more enjoyable. For evening activity? Get out away from the kids at a local watering hole, or watch an Orioles game on TV. wishing that it was warm enough for a long, romantic evening walk on the beach. I enjoy looking out windows in hotels and places where I am temporarily residing to capture images of the outdoors and the view. Over time, I have captured some interesting views and some not so interesting views. This past Memorial Weekend, I was in Ocean City at a condo and of course I looked out the window. 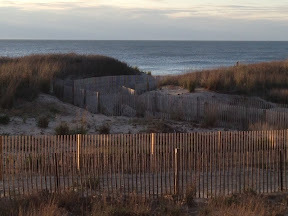 I have already published an image of the view of the sand dunes and onto the ocean beyond in my blog titled Cold Beach Day. But on another occasion, I was able to see more than the classic view from the condo window of the ocean. By looking a bit to the left out of the window, I spied palm trees on the beach. I was awed. I have been to this condo more than a few times and only now was I noticing my favorite beach tree. Yet, there they were with their fonds waving in the too cold Memorial Day Weekend wind. It warmed me beyond belief. I had almost missed them, save for an additional look. Sometimes I have to look out the window many times to see what is there. I have always wanted to be on the front lines of breaking news, and yesterday I was. OK, I was within about three miles of the breaking news. It is not often that I spy black smoke wafting up over hotels on the beach. I could tell there was oil involved from the black smoke. We heard sirens racing down the main street of Ocean City and wondered what the problem could have been. It turns out that one of the beach trams burned in the parking lot. We drove by it later in the day, but I was too slow to take pictures of it. I do have these eerie shots of black smoke rising over the beach with uncaring beach goers playing in the foreground. 2. We returned back from the beach Sunday evening to avoid the Memorial Day traffic crush. Last year it took five hours to drive home. Last evening, about 2 and a half hours. 3. My Memorial Day plans include wood flooring. 4. I read an interesting article that shows how out of touch politicians are with the electorate. California, it seems, has a huge budget surplus and they don't know what to to with it. They are looking at spending it on a lot of programs. My thought? Return it to the tax payers. 5. Despite complaining that the daily temperatures are not warm enough, I do not want to appear ungrateful that at least the trees are in full leaf and we are not still in the grip of winter. 6. The pool is open! The temperatures are a bit cool, but I will be in the pool before the end of the day. 8. Storms, flowers, and gardening. The rhythm of summer. It was adult night out last evening, and we frequented a watering hole near the condo so that we didn't have to drive. We actually went to two such establishments and engaged in deep conversations that no one remembers this morning. But, one thing I do remember is a guy named David who walked up and introduced himself and proceeded to regale us with stories and discussion. He was at the same time a former college basketball player, a runner, an entrepreneur, a ranked tennis player and a single guy on the prowl. Staying with him through the twists and turns of his story was difficult because the truth seemed to shift often as each of our queries probed deeper. As we probed the part about being a West Virginia college basketball player, it turned out that he played fora division three school and not WVU. Much like online personas, it seems that being out in a bar people can assume whatever fantasy they desire with little regard for reality. Myself? I'm still me, regardless of how much fun I'm having. I guess that is why I don't get excited about pub crawling, I don't appreciate the crazies in the bars. This image says I all. The beach is deserted when normally the sand is covered by humans soaking up hot sun and surf. The smell of suntan lotion lingering in the air is almost oppressive. Except today with the temperature on the beach a warm 52 degrees, if I were a penguin. The beach is deserted. That written, I did walk the beach in shirts and two shirts topped by a warm hoodie. Being at the beach is awesome. I am sitting looking out the window at the ocean in the morning light. The day is dawning beautiful. But cold. Still, it is the beach and the ocean and I am in my Memorial Weekend escape mode. 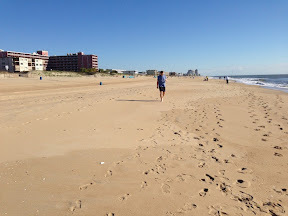 I have not been a huge fan of Ocean City is the past, but lately I have found ways to beat the traffic and the crowds. Cold weather and rain does put a damper on the crowds. Memorial Weekend is supposed to be hot as the first holiday of summer. This one is definitely a fizzler in terms of heat index and water activities. But fun is something we make, not something we experience. Fun and enjoyment I how we approach a problem or situation and not necessarily the outcome alone. And so, this is going to be a fantastic weekend. I many not sit and bake on the beach, but I will make great memories. Why was the lettuce in the bread box? We all know where it really goes, right? But somedays, it just doean't make it to the right place. Somedays, I don't make it to the right place in my mind. It is a sign of an overworked, overtired, cleaning the kitchen after lunch too fast to either get out the door or onto the next project. I'm not too sure the lettuce appreciated being placed in the bread box--it was all limp and wilted. A sign of our times, I guess. I wonder what else can happen when the lettuce is placed in the breadbox? Are keys lost, purses misplaced, and cars locked with the keys inside? Can distracted fingers become targets for sharp knives? Remember the old adage, "Haste makes waste." Work in the moment. Be aware. At the end of the day, especially after an extremely trying and busy day, I am amazed a how a glass of wine can cause the weight of the day to melt away. 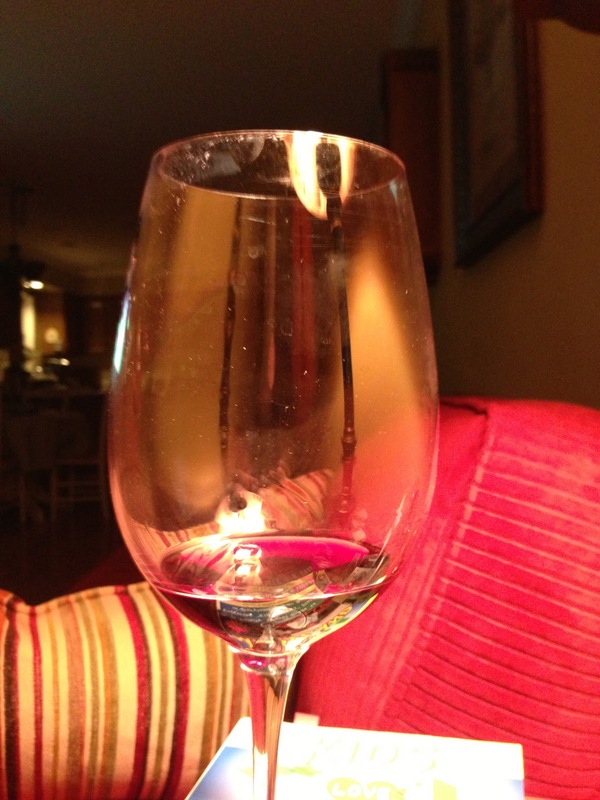 Sipping and appreciating a glass of wine is an art form and settles the mind. 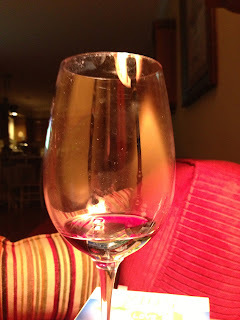 Reviewing the clarity, the color, the "nose," the flavors and the finish cause the mind to refocus on the glass and not the troubles of the day. Unlike beer, which I often drink very quickly and be left wondering what it was I just consumed, good wine causes me to pause and appreciate something other than the troubles of the day. Last evening, after working for another few hours on the flooring project, the wine of choice was Educated Guess Cabernet Sauvignon. An easy drinking and enjoyable wine which helps the troubles of the day melt away as I consider the characteristics of the complex liquid in my glass. It was, of course, made better by the way the Orioles were beating the unnamed team from the north on the field at Camden Yards. I highly recommend a glass to end the day. A few weeks ago I was suffering through one of the most ferocious allergy attacks that I have ever had. I was a mess for more than two weeks and the prospect of being outdoors was not something I looked forward to for long periods of time. I am over the springtime attack and am enjoying the fragrances on the breeze. 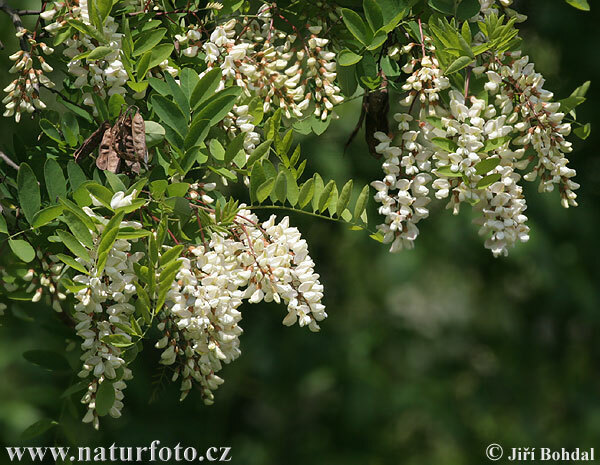 Black locust is one that is fully in bloom right now and also one of my favorites. I smelled the sweet fragrance before I even realize that the trees around my house were fully in bloom. I love those trees because they remind me of my childhood where our house was surrounded by these tall trees. And then there is honeysuckle which I also noticed yesterday along with the smell of fresh mowed grass which portends the arrival of summertime. The world is alive with smells--many of them sweet and appealing, but some, not so. And I am enjoying them this year, again. 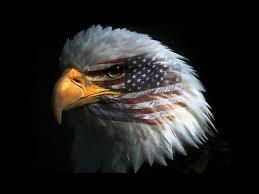 I am amazed that the year has passed so swiftly and that Memorial Day is this weekend. Summertime is almost here. I have noticed that the sky is brighter when I drive to the club for my early morning racquetball thrashing, almost bright enough on clear days to remind me that the solstice is only about a month away and then things will begin winding down for the last half of the year. Visions of the beach are creeping into my daily thoughts--both for the coming weekend and for my summer get away. The smell of the ocean, the sound of the waves, the feel of the salt water on my skin for the first time since last summer. Of course the wood floors still need to be finished. The lawn is too long. Then there is the pool and maintenance and maybe even swimming in it sometime soon. I wonder what my big summertime project will be? Oh yeah, staining the deck that we reconstructed last year. I'm doing a lot of wood related projects it seems. But I am blessed with the tools to do these projects. Patrick remarked, last evening as he was helping with the floors, that working with his hands was one of the most satisfying things that he did. I have to agree. 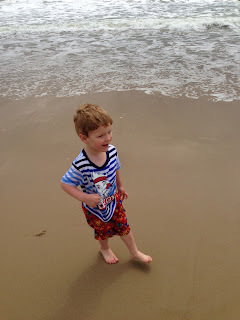 There is a satisfaction that comes form building, whether a sand castle on the beach with grandsons or a deck, or tables, or even new floors. The process of problem solving, creating, and building is very satisfying and provides respite from the cerebral pursuits of my daily life. 1. 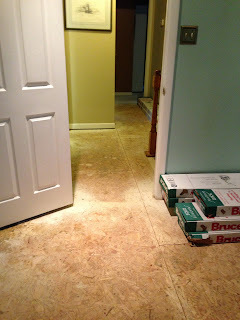 I didn't travel anywhere this weekend--I was inside working on floors which are not done. 2. Hard work is contagious. Or maybe it is just sick. 3. Why do I work harder at home than at work? 4. The Orioles are definitely in a low place right now. They have lost five in a row. 5. It is hard to type with a sore finger! I just took a huge sliver out of the end on one of my typing fingers. 6. Ever notice that when the humidity is up, it seems hotted on cooler days? 7. My pool has been open three weeks now and except for my toes--no one has chanced the frigid waters. 8. Next weekend is Memorial Day. Wow, where is the year going? It is amazing how seemingly small things can take a real long time to get right. For instance, on the floor project, Fran and I spent about 4 hours ensuring the top stair would integrate into the flooring in the best possible manner. And then it seemed that we worked around the edges of the room for seemingly hours. We started in earnest on Saturday at 9AM, but did not lay the first piece of flooring until 2PM because we were trying to ensure that the line being used to connect the study, hall, and master bedroom was straight and true. Who knew that it could take hours to get that seemingly small thing it right. That written--I learned a lot and there is still a lot left to do--closets, my study, and the rest of the hallway. Life on the second floor of our house looks like a refugee camp. I worked a thirteen hour day today slinging wood and cutting boards. It still is not done! But what is done it beautiful. Thanks Francis for teaching me and for giving up your weekend to work like a dog putting in the floors. Hopefully, I can pull it together and finish it off--this week. I have been out all over town already this morning collecting the last remaining pieces for the flooring project. This is going to be a long and tiring day, I can tell. The carpet is gone, and the hardest part so far was lugging 24 long and heavy boxes of flooring upstairs and positioning them for action. But all is ready--and as they say, so it begins. Hammers, nailers, and saws at the ready. 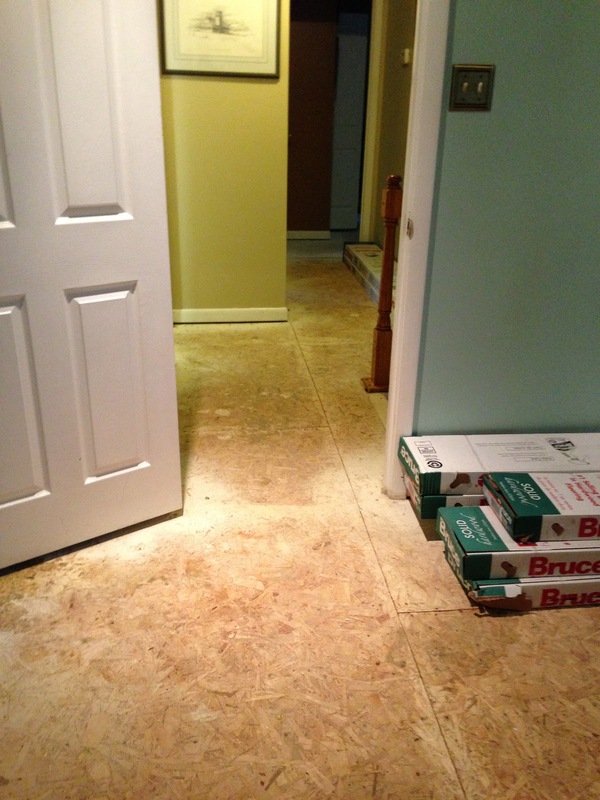 The project for the weekend is laying hardwood floors for two bedrooms and the hall. 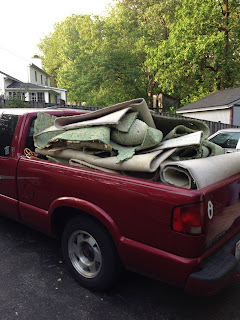 It is going to be a long weekend, but the deconstruction is nearly done--the existing carpet and pad have been removed form the floors and the nails, stables, tacky strips and other assorted debris has been collected. The room are mostly bare--and we are living like we just moved in with boxes and furniture repositioned throughout the upstairs. 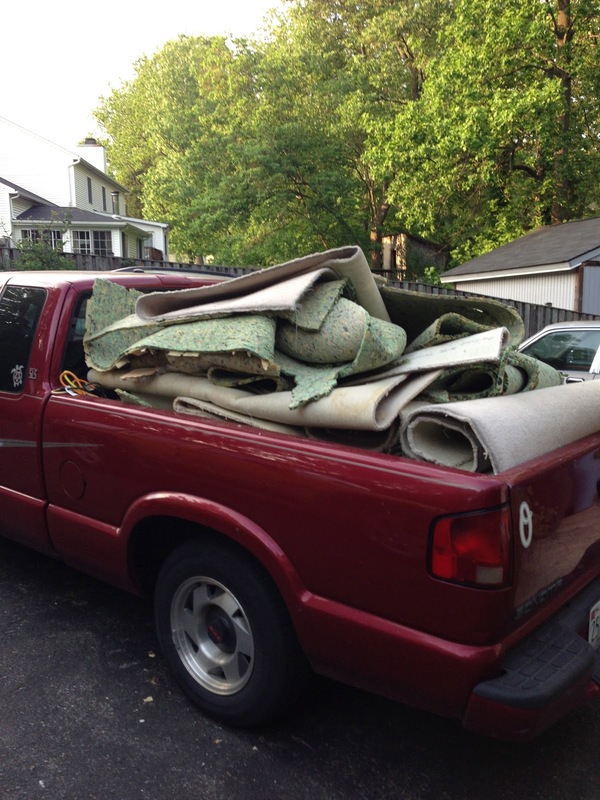 The truck is loaded and ready to head off to the recycling center to get rid of the old carpet and pad. We realized that the carpet is 12 years old and the pad was about 20 something years old. It was time for a change. And the time is now. 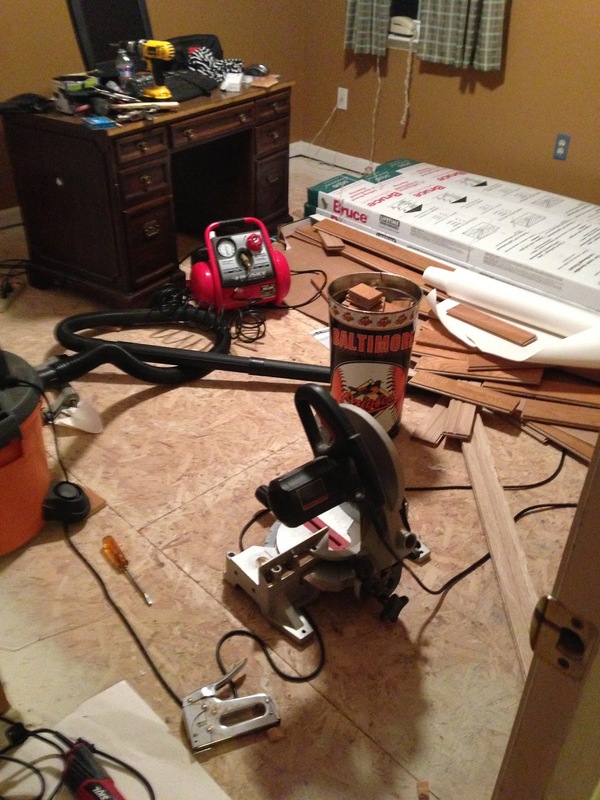 Of course deconstruction is a lot faster and easier than laying the new wood floors is going to be. It is going to be a busy weekend! I love baseball--almost everyone who knows me knows that fact about me. And, I love afternoon baseball. I remember growing up in a time before lighted stadiums were prevalent almost every baseball game was played in the afternoon. I remember that even World Series games were afternoon affairs. I remember coming home and turning on the television to watch the games. I believe the 1962 world series between the Yankees and the Giants (then in San Francisco) was the first televised series that I remember. I watched it on our black and white TV with the fuzzy signal because we did not have cable TV. Baseball was meant to play in the sunlight of a hot afternoon, at a stadium filled with screaming fans and then be able to head home for the afternoon and evening! The sun does funny things in a baseball game. I took leave yesterday afternoon to attend an Orioles game and I saw an error caused by the ball getting lost in the sun.The Orioles gave up a run when the second baseman lost the ball in the sun and missed the catch. The park was alive yesterday. The parking? Well, that was another matter. Parking was awful. But the city was alive and the fans enthusiastic even though the home team lost, miserably. And what did I do for my evening fun? I served as an assistant coach for Jax's T-ball team game. A baseball doubleheader, as they say. The tale of woe has finally come to rest upon the Department of Defense. Sadly, the Secretary of Defense announced yesterday mandatory furloughs for most all employees of 11 days, one day per week for eleven weeks beginning in July. Great, I won't even be able to get a summer job! It is a travesty that because our elected officials cannot agree on governing and budgeting for the common defense that the workers upon whom the defense of the nation rest must sacrifice again. It is almost unconstitutional! Congress has a few specific things that they are supposed to do and they have abrogated them. Again? Yup. It has been three years since any pay raises to maintain living standards while taxes, health care, and living continue to dramatically increase. For marginal gain, people must again suffer with no recourse except to write Congress upon who their protestations will fall upon deaf ears. I will write, however. I urge everyone to write Congress and let them know that they have earned a failing grade in governing the country. And they are going to ask to get reelected next year. Do we really want more of the same? Can we afford more of the same? We need to be careful what we ask for, but I'm pretty sure what we have isn't working. At least I'll have more time for gardening on my own nickel. I received a call from the one of the political organizations last evening asking me to renew my membership to help overturn Obama-care. I can't believe it. We have developed into a country of obstructionists. I told the caller that when the Republicans start trying to work with the Democrats to govern this country in a bipartisan manner for the good of the country and not for the gain or loss of a political party, I would consider donating. It is sad we have come to this. We are more focused on individual hot issues rather than one central big issue--Is it good for America and does it make us stronger and smarter? Right now, the answer to that question is definitely, NO! We have to do better or I fear we will dissolve further into a country of special interests where the central government will continue to be inept and unable to do their elected jobs. What needs to happen? First--fix the budget and start running the country. Third--help the poor and homeless improve their living conditions without oppressive taxes on those who are successful. Fourth--modify laws which turn common law abiding citizens into criminals among them certain new gun laws, drinking age laws, and many other well meaning but poorly implemented special interest sponsored laws. Fifth--stop trying to find new way to tax people and start trying to find new ways to ensure domestic tranquility. I am weary of getting calls from political action groups pushing single issues while missing the big issue. It is time for a change--I believe in the Constitution and bipartisanship which focuses on what is best for America! Is there anyone else out there who feels the same? 1. I cannot believe how cold it is this morning in the middle of May. We are dancing with freeze warnings and had to bring in all of the sensitive flowers last evening. 2. 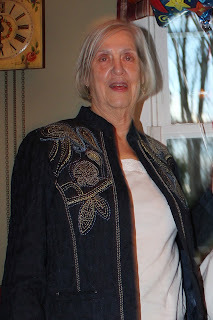 Mother's Day was a success--all of appropriate contacts were meds. Don't forget to pick up a bottle of wine for your Mom on Mother's Day. After all, you are one of the reasons she drinks. 4. Computers never seem to work when we need them most. 5. Do you know how to tell when a politician is lying? Their lips are moving. 6. The U.S. has the highest population of dogs of any country in the world. France is second. I wonder what this means? 7. As the weekend ends, I am sad at its parting--but I know that if everyday were a weekend then I never would appreciate it as much as I do now. 8. A wise retired man who came back to work once told me that he was busier after he retired than he ever was as a working man. Happy Mother's Day to Mom and Mom's everywhere. 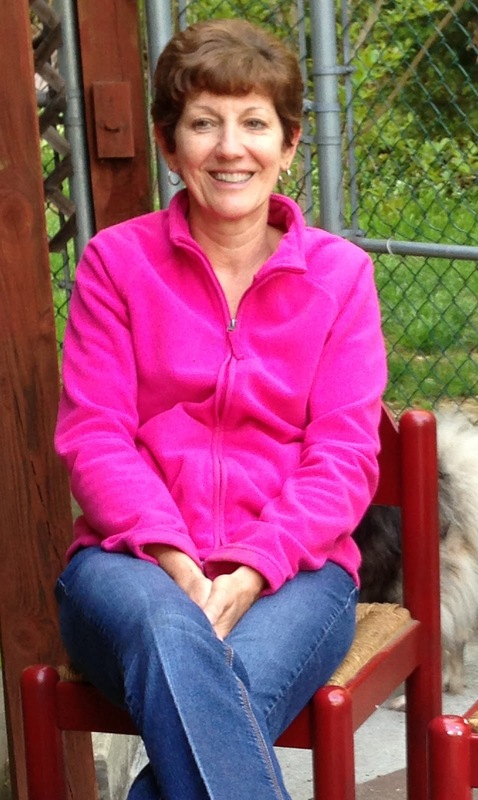 This is a special day to designed to make me stop and think about Mom, and also the mother of my children, my Wife, and the impact they have had on my life. Wow--I am so lucky to have two women to keep me out of trouble and to let me know everyday that I am loved and thought about. I would be truly a lonely boy in a big world without the love shown by these women to me. It is a tough job, keeping me in line--and it takes both of them to do it. For one of them is it almost a full time job! So on this very special day--thank you. I love you both. Keep up the great work that you are doing because as you both know, I am a work in progress. Love, kisses and prayers for a great year ahead. Yesterday provided a much needed preview of summer weather to come. We had our first day of greater that 80 degrees, sunshine, and no rain until late. We had friends over and sat around the pool enjoying the weather, the wine, the food and the conversation. It was comfortable, the mosquitos have not yet masses to drain blood from unprotected and unsuspecting bodies so even the evening was pleasant. It was a great ending to the week--the exclamation point to cruise into the weekend. We talked into the evening and watched the stars and the bats grace the gathering evening sky. It was the unofficial beginning to the summer outdoor living season. Unfortunately, as soon as the party broke up, thunderstorms arrived to wash away any memory of the start of the outdoor living season. But this morning, amid the drenched dampness the birds are singing, the doors are open and yes, my three week allergy affliction has finally broken and I'm feeling normal! The trees are in near full leaf and late-Spring has finally arrived. I'm not a good runner. Besides the fact that I don't like to run, I don't run well. 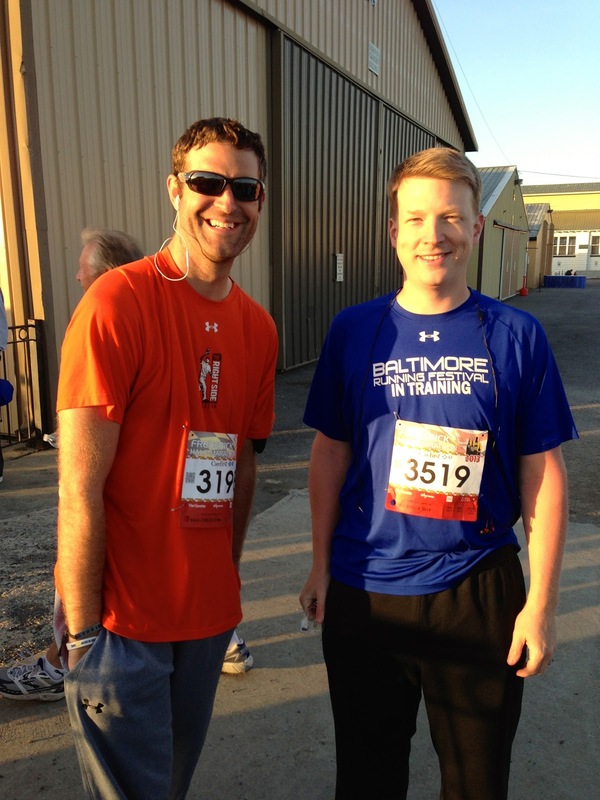 I have a lot of admiration for people who can run for distance, like Mike and Jeremy. Life, however, it seems is a race. It is a marathon and each day is a new adventure and a new mile on the marathoner's journey. Even the Apostle Paul talks of life being a race in 2 Timothy 4:7, so this idea of life being a race with the intent to finish well is not a new one. Much of the problem I have with running is pacing. I want to sprint out ahead, but I quickly burn out and wind up lagging behind the pack. 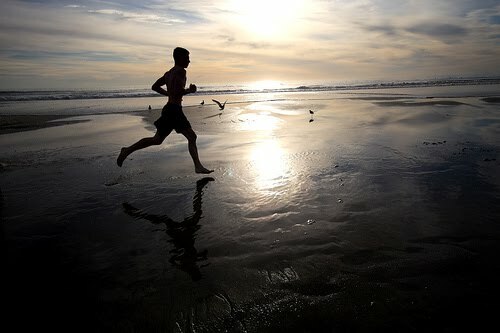 I need to learn to run within myself. This also applies to daily tasks. Each day is a new race, or a new lap on the racetrack of life. Yesterday was a good example. I worked an 11 hour day, raced off to the UPS pick-up center on my way home to get there before it closed at 7PM to pick up a package and as soon as I got home--even before dinner, since the lawn was dry I had to get the mowing in before rain and darkness. During the mowing, the tarp covering the wood pile got tangled in the mower blades--which could have been catastrophic, but wasn't. 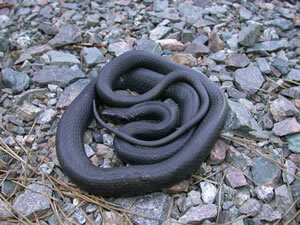 I did discover a 3 foot long black racer snake who had been hiding under the tarp. He was unharmed and slithered off into the wood pile to help keep the vermin at bay. After a quick shower to keep the allergens away from my too sensitive immune system, Chris and I enjoyed a fantastic dinner sitting on the back deck watching the darkness fall as the bats came out to play. But there was still the pool to manage and continue getting ready for summer fun even though we are expecting a 37 degree overnight low on Sunday. When I finally sat down to relax, it was after 9PM. Bedtime was less than an hour away. I guess I need to find some pacing to get to the finish line. The Apostle Paul must have enjoyed running, because he writes in 1 Corinthians 9:24: Do you not know that all the runners in a stadium compete, but only one receives the prize? So run to win. My problem is that some days, I'm just running to finish with no thoughts of winning. I need to be sure I set an achievable pace so that I don't burn out, like a shooting star, too early in the race. I went back through some old email the other day. I was cleaning out the files of life from five or more years ago which has been sitting around taking up space. I reread some of the topics and looked at some of the return addresses. I saw people and remembered events that were pivotal in my like, then, which are no longer even a little part of my daily existence. I was left with the realization about how far I've come and how much has changed from roughly the time that Jax was born. So many friendships broken--torn apart followed by new ones founded. I felt a pang of sadness as I relegated those old emails and the memories they rekindled to the "bit" bucket. I have lost touch with many of the people in those emails and I have certainly moved on into other pursuits. I guess that is the way life. I grow, change and sometimes move on. In retrospect, the lost relationships are sad, but without growing and moving forward (and sometime onward) I fear that I may lose my zest for life. Do people sometimes hold me back? Do my relationships keep me safe or from doing those wild things that I might otherwise attempt? Yes, definitely and that is both a good and bad thing. Sometimes I am too safe, and I rebel in potentially destructive ways. But by living too safe, I fail to grasp at the good opportunities to experience life and grow. The latest project around the house is closely related to my email cleansing. Chris and I are trying to get my office under control. I am having a difficult time parting with some of the old books and items I have collected through the years. Her view is that are gathering dust--so why keep them. I look at them and they help me find the associated memories. I might never recall those memories without the aid of those dust-gathering items. Chris and I are heading off to our High School reunion next month. That should be an experience seeing so many of the people we grew up with but with whom we have lost touch. Changes are tough and remembering lost memories can be even tougher. Iron Man 3 exceeded every expectation that I had. 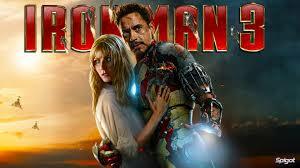 Just so that you know, in my estimation, it was better than Iron Man 2 but not as good as the the original Iron Man. The movie, actually, is fantastic. I enjoyed it from the beginning until the end. The plot was complex with twists and turns--I call it a mature plot. It was not the usual superhero plot which is action looking for a reason to happen. The action sequences were just the right length. All too often in action movies the fight scenes, are way too long. The story has Iron Man, played by Robert Downey Jr, back doing his rich boy thing when confronted by a villain who got his beginning in his past. Through a series of research efforts a process to regenerate limbs had been created, but is has a dramatic side effect which renders the cure worse than the problem. Gwyneth Paltrow reprises her role as Pepper in spectacular fashion. The plot winds through the world of terrorism, intrigue, and even all the way to the highest office in the land. I especially enjoyed the not-quite-ready-for-primetime version of the Iron Man suit, which provided some humorous scenes. There are spectacular scenes, there is drama and an interesting sub-plot involving a boy in Tennessee. The movie took it up a notch and should be enjoyable by all ages. As always, if you are looking for Oscar winning acting, this probably is not the movie for you--but if you are looking for action filled entertainment which has a plot and some intrigue--go see this movie. RECOMMENDATION: See this movie in the theaters. Do not wait for release on Blu Ray. Sunday, I enjoyed an early morning run, vicariously, through the efforts of Mike and Jeremy as they ran the Frederick Half Marathon as part of the Frederick Running Festival. It was a beautiful March morning, oh yes it was really May morning. So in terms of beauty it was definitely a nice day, but cold! But, it was clear. We met at the house at 0515--yup, 0515 on a Sunday morning to drive off to Frederick, which is about 40 or so minutes away. The drive was easy, because there are only a few crazy's on the roads at that hour. Arriving in Frederick, though, it was clear that this was the big event. Traffic backed out onto Route 70 and we worried that perhaps we had not allotted enough time for parking and getting to the starting line. But, the plan was well thought out and once we made it into the town we parked easily and walked the half-mile or so to the Festival. I was intrigued that we walked past a working horse barn on our way to the starting line. I don't know why, but maybe there is still some farmer deep in my veins. Being an amateur photographer, I enjoyed the lighting conditions during the just after dawn period before the race began. The hot air balloon which took off was great fun to watch rising into the morning sky. I could not get free form the lines and my other best shot included a row of port-a-potties, which just don't work in a picture. We walked to the starting line with 4,000 of our new, best friends. Runners are truly like a close fraternity. Everyone had their places for the start, and despite the campy and too loud music being blared over the speakers, it was fun. After the National Anthem and then a rendition of Neil Diamond's Sweet Caroline to be in solidarity with Boston after the bombing, it was time for the start. Once the race started, I had two hours of alone time. And it was really alone. The place became a ghost town. My only negative for the whole day is the lack of spectator support during the period from the start until about an hour and a half later as the runners began crossing the finish line. There was no where to even get a cup of coffee! 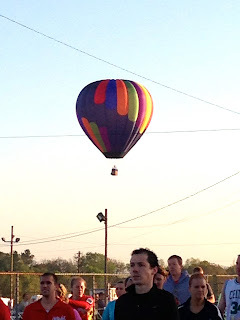 Thankfully, although it was cold, it was a beautiful morning and I enjoyed watching the dawn and also watching the Frederick Fair Race Track Infield come alive in advance of the runner's return. I was able to track Jeremy and Mike via a runners tracking system provided by the race organizers, but even better through the Friends feature on my iPhone. I knew they were planning on finishing in about two hours and so they did. 1 hour 59 minutes and 2 seconds for a 9m6s pace over 13.1 miles! I, luckily, spotted them as the ran towards the finish line. I was awed that after 13 plus miles they still ran together and looked as if they could run on for more miles. Good training! I admit, I am not a runner. I can't get my head into it, but seeing them finish together made me very happy for both of them. Sadly, while the iPhone is an adequate camera, it has some flaws and so I missed them actually crossing the finish line. Jeremy says they sprinted and I think that messed up my timing. Nonetheless, they finished the race. We met up and enjoyed some of the celebration in the infield area before heading home. We arrived home about 10:30 and still had the rest of the day. It was a great morning and I was proud of both of them. They set a goal and achieved it! I also enjoyed the Frederick Running Festival. Great morning. Great time. Do it again? 1. A dual holiday weekend has passed into the history books: May the 4th Be With You (Saturday, get it?) was the first and Cinco de Mayo (Sunday) was the second holiday celebrated..
2. Sunday was a crazy day--I was in Frederick for the Running Festival by 6:20 AM, working on the pool by noon, in a theater watching Iron Man 3 by 2:30 and then off to Wegman's for groceries. 3. Now that the pool is open, when can I go swimming. 4. The weather for the week ahead looks to be cold and rainy, again! 5. The weekend was good for my sports teams: The Orioles win two and the Pens win one. The Orioles finished an 11 game road trip with 7 wins against 4 losses! 6. I am in sports purgatory today--none of my teams is playing. 7. On this date in 1626, what is Manhattan Island was bought by the Dutch from the Indians for a few trinkets. What a difference 400 years makes. 8. This summer promises to be a big movie summer. There are too many movies coming out to be able to see them and still enjoy summer. 9. I took Cat, my car, in for an oil change the other day and they asked me if I was getting any streaking from the windshield wipers when it rains. I told them, I don't know, I don't drive it in the rain. They decided the windshield wipers were fine. Yesterday's pool opening was a success--the pool is open, although not yet swimmable. I expect the pool to be balances, clear, and ready for swimming in a couple of days. The only thing missing is summer. Or at least temperatures in the 80's. I proved that I still have it--able to push 80 or so pounds of pool cover over my head, up a rickety attic ladder system and into the storage area in above the pool house. For the last time! Next year I am going to rig a pulley system. I nearly fell off the ladder twice, drew blood on my shin, and had there been an OSHA inspector in the vicinity, I would have been shut down. It is good to have the back yard view of water in anticipation of fun rather than the pool cover which signals that the fun has expired. It was a good day to do this activity--just warm enough to wear shorts and get a sunburn, but not so hot that I was sweating. Still--after opening the pool part of me wants to jump in the 50 something degree water. Time is coming--all we need is sun, summer, and high temperatures. It has finally arrived. The day which officially marks the beginning of the summer side of springtime--pool opening Saturday. By the end of the day the cover will be off and the pool will be open, although not swimmable. Already, beneath the cover which shimmers in the morning light casting across it, the pump has been reconnected and water is already circulating to begin bringing the chemical mix up to the proper balance. What really remains is the hard part--removing and storing the cover and cleaning the pool of the debris accumulated in the seven months since the pool was last used. The chemicals are in place and ready--the call of summer is present with me. Just a few more hours of work. I'm glad I got the piping and pump reconnected yesterday--that will make today a bit easier. All we need now are warmer temperatures--bring on the sunshine! And Coming to the Plate is . . .
T-ball is a fascinating variation of baseball. The object of the game is to teach youngsters the rules of the game and to hook them on the excitement of watching their heroes play--which is a bit easier when living in a town which actually has a major league baseball team like Baltimore does. Wearing the gear, stepping to the plate, making the run to first--I remember all of those things, mostly fondly. I admit, though, that I had forgotten how much progress the players make from day to day. Out team has transitioned from hitting only off the "T" into hitting pitched tossed by the coach. 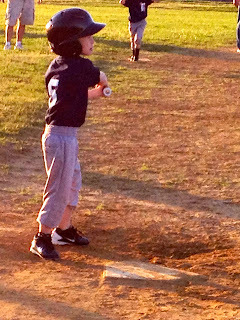 Last evening was our first game where they hit pitches coming from the coach. And they did great. Every one of them had at least two innings where they made it to base by hitting from the coach and not off the T.
But the game went long! An hour and a half. But the thrill when they hit a fair ball was evident in all of them. Problem was, they wanted to stand at the plate and watch it. Not the approved approach to the game, but given the raggedy fielding it really didn't matter. Although, our team made three outs during one inning! All of them unassisted to our first baseman! Ah, but what a hit it was! I can almost imagine some Orioles of old admiring their game winning shot in the bottom of the ninth! And in my case, grandparents, too. The hockey season that almost wasn't has transitioned into its second half--the playoffs. Believe it or not, after 48 regular season games we now get to work through two months of playoffs until Lord Stanley's Cup is finally hoisted by the winners of it all. Yes, I am a Pittsburgh Penguins fan. I have been for a very long time. I am hopeful that I will get the chance to attend a Washington Capitals game late in the playoffs if the Pens survive. Last evening was the Pens first playoff game and the started off with a 5-0 win. It is a sure sign that Spring is here when the NHL gets into the playoffs. I was asked recently, why I don't follow the local hockey team. That was an easy answer--Baltimore does not have a hockey team. If Baltimore had a hockey team, I probably would eventually become a fan as I would attend games and it is easier to root for the home team than constantly against them. Although, I have no problems rooting against the Capitals when I go to those games, although, usually there are almost as many Penguins fans in attendance as Capitals fans. In my case--it is water flowing off the driveway that doesn't like my lawn. During the past year in one area the grass has been washed away and a small ditch has been cut by the rushing water. What to do? Plant more grass, try to divert the water and hope for the best. Sadly, it is a very shady spot and growing grass is probably not an option. The spot is along a fence next to the driveway and had always been a problem. So this year the answer is to plant a garden and provide a rocky channel to reduce the force of the run off and stem the erosion. This garden is adorned with ugly utility boxes--just to add to the ambiance. And shade--lot's of shade. Most plants being sold right now require 6 or more hours of full sun per day. This garden gets one or two. I must be getting old. I am beginning to appreciate gardens more and more. It seems that the older people get the more they talk about and consider their gardens and dream of retirement. I'm not sure that gardens and retirement are in any way linked except interest in both increases as we get older.